Japan must completely cast aside its primitiveness. The paranormal must be subjected to the objectives of the empire through the scientific lens. But IJAMEA does have a place in Japan's order. Only we stand as the vanguard against European encroachment of our collective heritage, the empire's and the rest of Asia. With all due respects, this is no longer a war among humans. This is a war against Japan itself. Our enemies sought to destroy all that is Japanese, and we urge you to oppose them. Not necessarily for our sake, but for yours and this sacred homeland. We did not lose. I am still alive. I can fight on. Even if History called them monsters, they will always be our fathers and grandfathers. It is only correct for me – their descendant – to abide by their ways. 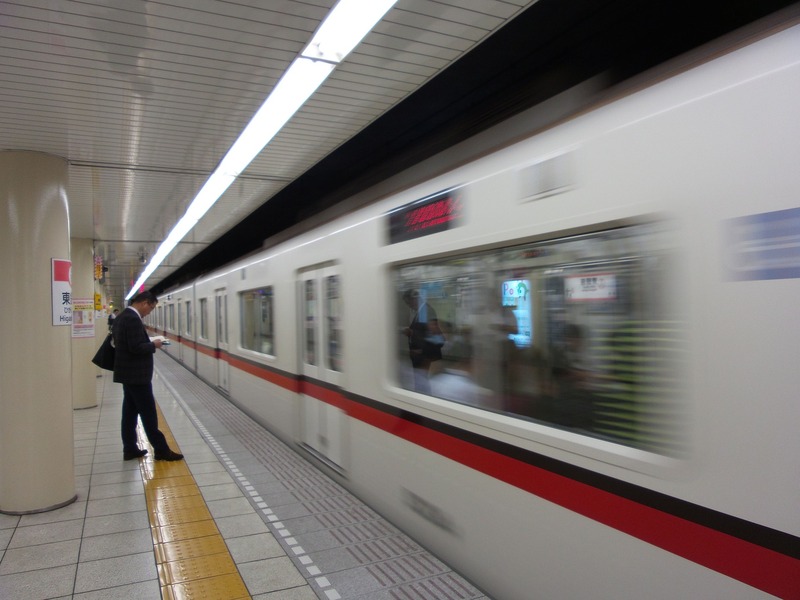 The Imperial Japanese Anomalous Matters Examination Agency (IJAMEA) can be regarded as a product of Meiji Japan's modernization program, particularly with regards to the paranormal. Although multiple individuals and organisations (e.g. Shūshū-In, Bureau of Onmyō) had played significant roles in responding to the paranormal in pre-Meiji Japan, many in the Meiji oligarchy derided them as primitive due to the use of so-called "magic" and other traditional methods. Instead, they called for a new organization which valued the scientific model and represented the new modernized Japan. This was the primary impetus to create IJAMEA; to rebrand Japan's interactions with the paranormal. Thus, representatives from the Imperial German Anomalous Matters Examination Agency (IGAMEA) was invited by the government to advise on paranormal matters under the frame of Western parascientific methodology. Chosen due to the compatibility with fukoku kyōhei1 and the Meiji oligarchy's favorable opinion of German military and legal systems, it effectively ascribed a military element in Japan's interactions with the paranormal during the 20th century. Following IJAMEA's formation, IGAMEA advisors were sent to Japan to train the fledgling organization on multiple paranormal subjects. Japanese subjects already involved with the paranormal formed the first batch of IJAMEA's soldiers, including the younger members of the Bureau of Onmyō and Shūshū-In. This was especially detrimental to the Bureau's operations, contributing to its dissolution in 1901. A major activity of IJAMEA is Operation Hakutaku2, a holistic collation of all existing documentation regarding anomalous entities and phenomena throughout Japan. Temples, shrines, libraries, and private collections inter alia throughout Japan were raided for any noteworthy knowledge pertaining to the paranormal. This policy extended to territories colonized by the Japanese, which were termed Operation Go-Hakutaku (Taiwan) and Operation Hakutaku III (Korean Peninsula). While initially praised by many organizations, later iterations of Operation Hakutaku were criticized for attempting to frame various anomalies under a Japanese interpretation, thus asserting Japanese dominance in the paranormal sphere. 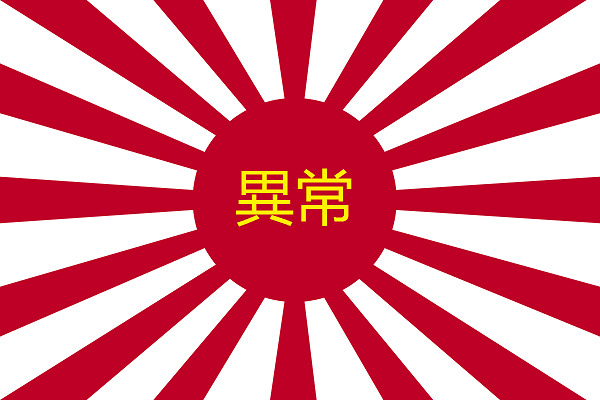 During the Russo-Japanese War, IJAMEA was not mobilized in favor of the publicly-known Imperial Navy (IJN). The Veil Protocol meant that IJAMEA was perceived to be ill-suited for mobilization. This attitude led to an initial sense of animosity towards the Imperial Army (IJA) and IJN among IJAMEA. 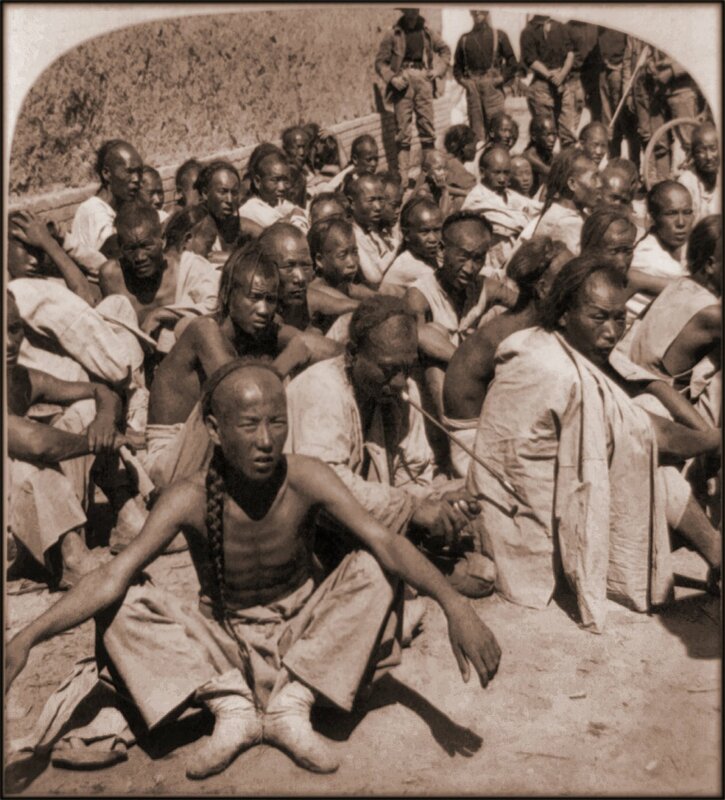 Alleged "Chinese occultists", following capture. The early years of the Taisho period coincided with World War I, which allowed IJAMEA an opportunity to display its military prowess. Specifically, it assisted in the occupation of Kiautschou3 and suppressed attacks led by Chinese occultists. Although IJAMEA insisted that said occultists were backed by the Republic of China, substantial evidence has suggested that they were independent entities. Nevertheless, IJAMEA used those incidents to justify the necessity of the organization in Japan's military apparatus. Despite the Veil Protocol, the secrecy shrouding the paranormal eventually became an opportunity. Throughout the 1920s, IJAMEA propagated the idea that only it could represent Japan's interests regarding paranormal affairs. This granted them a niche over both IJA and IJN, who contended to influence the civil government. Styling itself as Japan's representative regarding paranormal matters, IJAMEA collaborated with both the Foundation and Allied Occult Coalition (AOC). Nonetheless, IJAMEA has maintained its independence and its priority was always the Empire of Japan. Initially limited in governmental influence, IJAMEA sought to exploit the surge in ultranationalist organizations (e.g. Black Ocean Society, Black Dragon Society) for its benefit. These groups were infiltrated and gradually became public facades for IJAMEA to hold influence in Japanese society. Despite IJA's initial apprehension, it and IJAMEA eventually found common ground, unified in nationalist rhetoric. The ascension of Emperor Showa is said to mark the peak of Japanese militarism, and this extended to IJAMEA as well. The organization began to strengthen its hold over the paranormal community in the Japanese Empire, eventually ousting the Foundation and halting their involvement with the AOC. Shūshū-In saw the writing on the wall, and pre-emptively withdrew from public life – allowing it to be relatively free from Imperial control. By 1932, IJAMEA became the primary authority over all paranormal matters within the borders of the Japanese Empire. Additionally, IJAMEA's growing ties with the IJA allowed them access to the puppet state of Manchukuo. IJAMEA platoons were mobilized to Manchukuo to conduct archaeological digs in the region, and initiated Operation Hakutaku IV. During the Second Sino-Japanese War and the subsequent Pacific War, IJAMEA was as involved as the rest of the Japanese war machine. Throughout the war, they attempted to identify the applicability of various anomalous entities and items in combat – as implied by the high number of IJAMEA Operations formulated during the period. They had even requested artifacts from the emperor's Seimei Gallery, which were mostly granted without issue. Among the initiatives spearheaded by IJAMEA, its most ambitious operation was its collaboration with IJA, the Special Autonomous Battalion or more commonly known as the Youkai Battalion. Manned purely by anomalous entities, the Youkai Battalion numbered over 500 strong at its height. Notably, officers tended to be humans (albeit, reality benders or thaumaturgists) whereas some enlistees were reported to be non-sapient. This project was relatively unsuccessful, due to any number of difficulties involved with wrangling and controlling anomalous entities, and was disbanded shortly before the end of the war. Despite increasing collaboration between IJAMEA and the IJA, evidence suggests of independent paranormal initiatives controlled fully by the IJA. One such example is the rumored "Unit Negative Numbers", sometimes termed "IJA Special Medical Force". In practice, many of IJAMEA's projects faced complications. Some (e.g. Youkai Battalion) were ineffective due to sheer unpredictability, while others (e.g. Operation Dakki) were irrelevant as either the IJA or IJN had fulfilled the same purpose. It can be said that IJAMEA's desire to prove itself over the other branches ultimately contributed to many poor decisions made by the leadership. Following Japan's surrender in 1945, IJAMEA was dissolved, along with all other branches of the military. Due to strong insistence from world leaders involved with the paranormal sphere, the majority of IJAMEA documentation and assets were transferred to Foundation control. Following the dissolution of IJAMEA in 1945, many former operatives have since joined the Foundation and various Groups of Interest, ranging from the Global Occult Coalition and GRU-P to the Chaos Insurgency and Marshall, Carter and Dark, Ltd. Some even returned to civilian lives, choosing to forget their involvement with IJAMEA altogether. But there were some who continued to fight under the banner of IJAMEA. Among these remnants, two notable sub-groups can be distinguished: the 'Kakure Shogun' and the 'Jirai'. Note that these terms would be deemed derogatory to actual members of either sub-group, as most still refer to themselves as true agents of IJAMEA. The Kakure Shogun ("hidden general") represents a postwar adaptation of IJAMEA against the backdrop of discredited militarism. As the Allied Occupation dismantled all aspects of Japanese militarism in the public sphere, the private sphere (i.e. the family) became the last safe haven for IJAMEA loyalists. Thus the family became the foundation for the Kakure Shogun's existence, drawing parallels to the Kakure Kirishitan4 of the Tokugawa period. In many respects, the Kakure Shogun are said to be exemplars of honne and tatemae5 – maintaining a strong public facade whilst keeping their IJAMEA allegiance to themselves, their respective families, and close allies. Despite its moniker, almost none of the Kakure Shoguns descended from shogunal clans, and only a handful were actually IJAMEA Generals. In fact, many hold a multitude of mundane occupations ranging from salarymen and CEOs to musicians and animators. The rank of General is widely believed to be self-designated, in those members' initial belief that they are the only remaining IJAMEA member(s). Later generations would also use the rank of General, claiming that they inherited their parents' titles. Holding the superficial commanding office, many Kakure Shogun continue to develop IJAMEA Operation Reports and exploit their occupations to further their goals. Many Kakure Shogun have exploited Japan's economic miracle to establish bases around the world, allowing them to operate with minimal scrutiny. Some are said to have backed right-wing political parties and supported Japan's remilitarization. While there are rumors that former IJAMEA members working within the Foundation and other groups are Kakure Shogun, it is speculated to be an exaggeration propagated to weaken or intimidate such organizations. The modus operandi of the Kakure Shogun vary by individual. While it might be easy to assume that they desire the destruction of America and conquest of Asia, some recovered Operation Reports drafted by Kakure Shogun suggest non-military objectives – e.g. protection of the paranormal community in Japan. It is postulated that these non-military objectives are simply tactics to gain a moral high ground and thus an alternate path towards victory – or as compensation for the military victory that could not be fully materialized at the time. Although the first generation of Kakure Shogun are exclusively male due to the demographics of IJAMEA, female Kakure Shoguns are not unheard of in subsequent generations. In very rare cases, there have even been incidents of non-human entities filling the role of Kakure Shogun. Essentially the IJAMEA counterpart to the Japanese holdouts,6 the Jirai ("landmine") are called so due to their secretive status and indiscriminate sudden attacks on anyone – military or civilian. Initially assumed to be the same as their IJA and IJN counterparts, subsequent decades have changed the characteristics that defined the Jirai. First-wave Jirai: Composed of MIA IJAMEA members who did not know of or believe in Japan's formal surrender. Over the decades, it is believed that some first-wave Jirai might have utilized anomalous means to remain in hiding and/or extend their lives. Second-wave Jirai: Believed to have been inspired by the Viet Cong following America's withdrawal from the Vietnam War. Known to publicize attacks to shape public opinion, and to expose the existence of Kakure Shoguns within the Foundation and other global organizations involved with the paranormal. Third-wave Jirai: Composed mainly of Kakure Shogun household members born after World War II. Apparently largely inspired by 21st century terrorist organizations. Known to express irritation towards the apparent inaction of their Kakure Shogun relatives, and thus take on direct actions. Despite the aforementioned classification system, the Jirai are poorly understood with drastic variations in modus operandi. The full extent of the Jirai is still unknown, but believed to be dwindling. Due to their isolation, the Jirai are typically less focused on IJAMEA Operation Reports, instead prioritizing action. That being said, the sheer diversity of the Jirai meant that exceptions are to expected – e.g. some recovered postwar IJAMEA Operations are carried out by members of Jirai splinter organizations. Note: this page uses a listpages module to track pages. If your article is tagged with "ijamea" and either "scp", "goi-format", or "tale", then it will appear here automatically. If you have an article that is not a SCP, GOI-format, or Tale, but still wish for it to be included on this page, please contact Dr Solo or MrWrong. Most IJAMEA documentation tend to be considerably less clinical that that of the Foundation, and is often steeped in folkloric and mythological terminology. While professional, such documents are often almost poetic or reverent in the way they address anomalies, but it should be noted that any sense of reverence or worship is used much like a propaganda tool to further the goals of the IJAMEA. Don't be afraid to sprinkle in as much mythology and language and history as you'd like; these are the factors that make IJAMEA articles feel right. Those aspects of bringing the real world into your writing are what can really make these articles feel like they belong in this world, and could realistically exist in it. Alternatively, you could very well take your article in a brand new direction. It's always an interesting task to try to determine how the IJAMEA would deal with an entirely original anomaly of your own creation. IJAMEA texts are much more subjective than the objective documents of the Foundation. While the Foundation ostensibly works for the good of humanity, the IJAMEA works for the benefit of the Japanese Empire. "Official" IJAMEA documentation may occasionally omit information or outright lie in order to better adhere to the party line of the Empire. There is no need to try to scientifically justify supernatural elements. While the Foundation may throw around terms like "Spectral entity" and "Hostile reality bending humanoid", to the the IJAMEA they're often just ghosts and demons. Such mysticism is a more often a nationalist tool than actual faith. This is not to say that the IJAMEA is entirely non-scientific; if it suits their needs to use scientific methodology and terminology, then they will. The Foundation and IJAMEA initially have a mildly amiable relationship, until the former's expulsion in 1932. IJAMEA is not dedicated to containment. They will treat an anomaly in whatever way best aids their objective, whether that be containment, destruction, or anything in between. Essentially, IJAMEA has a single goal: winning. They will go to any lengths necessary to win. This is not restricted to military victory, and includes cultural and economic success for Japan in any context. GOI Format: The standard IJAMEA GOI-document is fairly simple, and takes the shape of a Operation Report. These reports are by no means the only form IJAMEA documentation can take, but are perhaps one of the easier ways to understand the GOI and the way it views the paranormal world. An Operation Report consists of a military-style formal summary of an IJAMEA Operation, the project's methods, and its results. Such documents are titled after said project (e.g. "Operation Izanami", "Operation Dakki", etc.) and are formatted similarly to the example document below. IJAMEA documentation may occasionally by signed by the organization or individuals responsible (e.g. From the Desk of General Ito, Hashima Outpost), but this is not always the case. A Note on Years: The year the project was carried out can be used as a quick indicator of the socio-historic context behind the project, as explained below. 30 Jul 1912-25 Dec 1926 (Taisho) IJAMEA is consolidating itself, with general focus in nationalism and establishing itself as an organization at home and abroad. 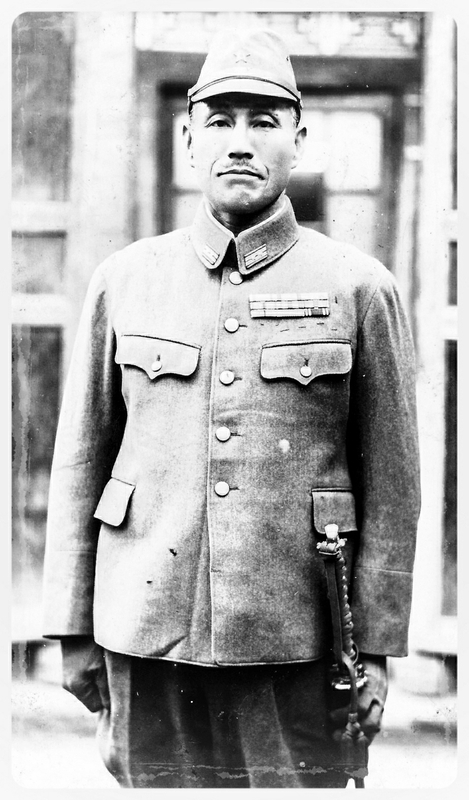 25 Dec 1926-14 Aug 1945 (prewar Showa) IJAMEA is at war, thus general focus is full-scale military operations and dominance over Asia and the Pacific. 14 Aug 1945-Present (i.e. postwar) IJAMEA is fragmented, so objectives may vary drastically by individual. One notable theme is the desire for any kind of victory – militarily or otherwise. These are general trends of the era that are part of the in-universe writer's life, but the complexities of human society and the role of the individual mean that these are not set in stone. Go-: Meaning 'later' or 'the second'. Denotes a continuation or extrapolation of a previous IJAMEA Operation. Subsequent continuations and extrapolations are termed 'III', 'IV' etc. (or 'Sandaime', 'Yondaime' etc. in Japanese). A Final Note: Like everything on the site, the IJAMEA information, themes, and history presented in this hub are essentially only canon if you want them to be. All authors are more than welcome to develop their own alternate timelines, factions, and goals for their IJAMEA articles. 1. Translated as 'enrich the state, strengthen the military'; the phrase originates from the ancient Chinese text Zhan Guo Ce and was the national slogan for Meiji Japan. 2. Also known as Bai Ze, a creature in Chinese mythology. It is said to have given the Yellow Emperor knowledge of all supernatural creatures and the means to overcome them. 3. A leased territory controlled by the German Empire in contemporary Shandong Province, China. 4. A term referring to Japanese Catholics who practiced Catholicism secretly during the Tokugawa period. 5. Translates to 'true sound' and 'built in front' respectively. These two terms reflect the contrast between an individual's true feelings and desires, and the behaviors and opinions expressed in a public setting. 6. A term referring to Japanese soldiers in the Pacific Theatre who, after Japan's surrender, doubted the veracity of the surrender or have no awareness of it.